» Lagrime mie, a che vi trattenete? An extraordinary musical journey leads us from Montiverdi’s Mantova to Strozzi’s Venice, from Corelli’s Roma to Martini’s Bologna. From Italy we are then transported to England, the home of Purcell and Händel (who both took influence from the Italian and French models), exploring the very different styles of madrigals, cantatas and opera alongside the concerto grosso, symphonies and dance music. The common theme is the sublime human expression: crying for love. In the 1600s the ‘lament’ developed into its very own genre, just as Dido’s Lament in Dido and Aeneas by Henry Purcell. This tormented adventure is accompanied by exceptional performers: the Accademia degli Astrusi, directed by Federico Ferri, and the extraordinary voice of Anna Caterina Antonacci. 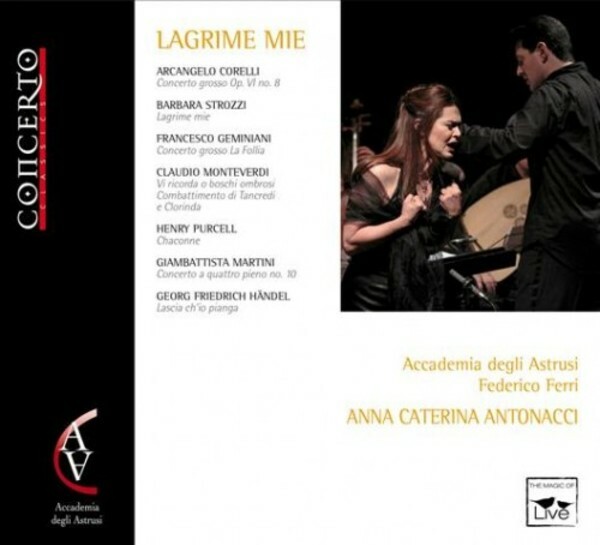 Recorded: December 21st, 2010 - Teatro Comunale, Bologna.